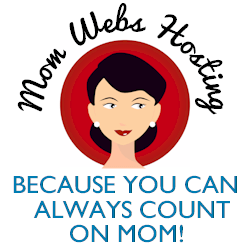 This is a compensated campaign in collaboration with Pediacare and Latina Bloggers Connect. As tempted as I may be to just let my kids watch TV all day, there are SO many other activities that kids can do when they’re home sick that will distract them and promote healing while allowing you to spend some quality time together. Craft. Playing with play dough or sand is a quiet and relaxing activity, as is creating origami or making bracelets and necklaces. I have a box full of pipe cleaners, tissue paper, stickers, googly eyes, (and so many other random art supplies) that I only pull out on sick days. Draw or color. I always have new packs of crayons or a special box of markers hidden away, as well as a stack of coloring books that I only bring out on days like this. Have kids take a bath. Make it special with lots of bubbles! The steam will help a child with a stuffy nose. Play beauty salon. I have two daughters, so we do this all the time, sick day or not, but when your little one is not feeling well, a little pampering is especially appreciated. Paint each others’ nails, take turns doing your hair, even let her apply a little makeup. It’ll bring a smile to her face! Play games. Board games, card games, dominoes, puzzles, I Spy – you name it. Give older kids a crossword puzzle from the newspaper. Downloading a new app on your tablet is also an easy distraction that won’t break the bank. Read. What’s better than a day reading in bed? Or create a little reading ‘nook’ in a corner of the room with lots of blankets and pillows. Sort things. I’ve had my kids help me put photos in albums, sort unmatched socks, and organize the junk drawer in the kitchen. Yes, I may be putting them to work, but it can potentially distract them for hours and is kind of fun! Take a walk. If the weather is nice enough, go outside and get some much needed fresh air and sunshine. Watch a movie. Snuggle up on the couch with your child and watch his or her favorite movie, or download a new one. Rest! This is what your child needs most, and odds are you do, too! A nap is the perfect sick day activity. What activities do you do with your kids when they’re home sick? Pediacare is a brand you can count on that was founded to develop safe, effective medicines for kids. 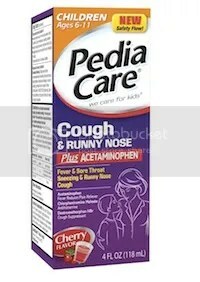 When your little one starts showing signs of illness, you can purchase PediaCare’s Cough & Runny Nose plus Acetaminophen, and other PediaCare products, at your local Dollar General. Get a coupon for $1 off here. FYI: Click here to download the PediaCare® dosage chart, which helps you match your child’s symptoms with one of their products. When using the chart, it’s best to weigh your child first to determine proper dosing of PediaCare® products. If weight is not known, use age. I had a sick little one home yesterday and we read a lot. And watched a movie. I hope your baby is feeling better, Robin! when son is home sick we do a lot of videos games and movie watching. Plus he sleeps a lot to recover. Two out of three of mine are not feeling well right now. Crafts are a huge hit around here on sick days. I just give them the supplies and let them go at it! We used to watch endless movies when my kids were little and got sick. I used to feel so bad for them when they were sick. Normally when my kids are sick they do want to do much of anything but lay in bed or on the couch watching t.v. I allow them to get rest so they can be back to their spunky selves! When my daughter is sick, she likes to hide out in her room watching Netflix. She doesn’t want to be near people, lol. A great list! Sorting photos is always a great way to connect and share memories. When my kids are sick, their favorite thing is to snuggle in the big bed (our bed) and watch tv and nap. I try to have a bunch of stickers on hand for just these types of occasions. I have my girls make outlines with the stickers on paper it keeps them occupied for awhile. We usually read books and watch movies when my kids are sick! These are great ideas! We try and do a lot of reading whenever my kiddos get sick which is very rarely. Those are all really great ideas though. Jen´s last blog post ..Tiny Prints Coupon Code! $30 off $75! Great idea to make bath time extra special. The steam does totally help! I always keep surprise crafts for these types of occasions. A little gift when you are sick can help you feel better. Love the beauty salon idea. Very cute! Games, cards, and puzzles entertain my little one. We also like to color. I’ll take a giant piece of kraft paper and cover a table! These are great ideas for helping sick kids feel better. We always rest, read and watch movies. Debbie Denny´s last blog post ..BOOKER: Streets of Mayhem by John Mefford! Review and Giveaway!